Chief of Army Staff General Bipin Rawat on 4 November said there is nothing new in Chinese President Xi Jinping's call to the country's army to be ready to fight and win wars. 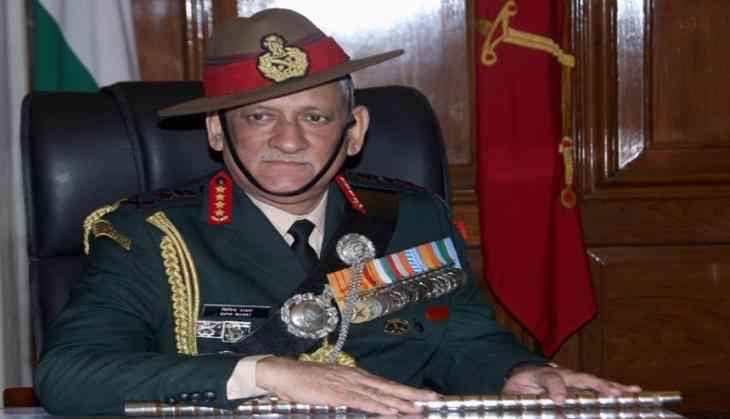 Commenting on this, General Rawat said, "Every army has to prepare for a conflict. That is the task of every army. There is nothing new anybody is saying. I also have to keep preparing. In peace time, we all train and prepare for any eventuality. So, there is nothing new in that." The Army Chief was here to unveil the statues of Field Marshal K M Cariappa, and Padma Bhushan and Distinguished Service Order (DSO) awardee General Kodendera Subayya Thimayya, at Cauvery College in Karnataka's Kodagu District. On October 27, he urged the country's army to develop itself into a world-class military by the mid-21st century. He was addressing military officers after being re-elected as CPC Central Committee General Secretary and Central Military Commission (CMC) Chairman at the 19th National Congress of the CPC. On Friday, the Xinhua news agency quoted President Xi, as saying that "The CMC should lead the armed forces to be ready to fight and win wars, and to undertake the missions and tasks of the new era entrusted to them by the party and the people." His repeated calls for war preparedness left defence experts speculating about its impact on India-China relations, especially after the recent Doklam standoff. The Doklam standoff started on 16 June, 2017, when Chinese troops with construction vehicles and road-building equipment began extending an existing road southward in Doklam, a territory which is claimed by both China as well as Bhutan. Indian troops objected to this advance and saw it as an act of Chinese aggression. Finally on 28 August, both India and China announced that they had disengaged their troops in Doklam.